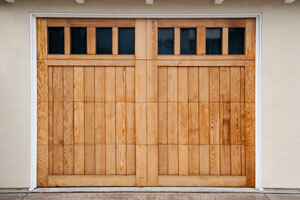 Choosing a new garage door can be downright overwhelming. Rather than stress over all the decisions that come with finding a replacement door – like choosing a manufacturer, style, color, and myriad other variables – turn to the experts at 31-W Insulation for guidance. We’ve proudly served countless homeowners since 1972, so you can rest assured that we have the expertise necessary to help you choose the ideal garage door for your Concord, NC, home. You can also be confident that our team has the experience and talent needed to impeccably install your new door. Have the practical features they need – Whether your focus is on safety and security, energy efficiency, or both, we can help you choose a door that will perform to your exact specifications. Are within their price range – We’ll do our best to make sure your new garage door fits within your budget. Reflect their personal styles – No matter if you prefer a traditional or contemporary design, or want your door to blend in or stand out, we’re sure to offer a garage door that will suit your aesthetic preferences. Now that you know how easy we make it for our customers to choose their perfect garage door systems, what are you waiting for? Contact us today to schedule a complimentary consultation in your Concord, NC, home.